and make like wun armadillo ball. foa wat dey now represent. dats just not going to happen anytime soon. decide to put humankind on dere lunch list. dat no like be da ones to lose. not going be part of it. strewn out on da roadside. and den latah to protect. 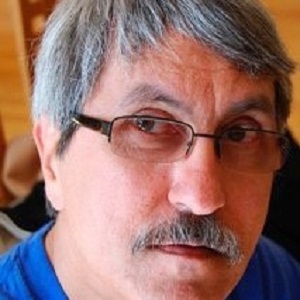 Joe Balaz writes in Hawaiian Islands Pidgin (Hawai’i Creole English) and in American English. He edited Ho’omanoa: An Anthology of Contemporary Hawaiian Literature. Some of his recent Pidgin writing has appeared in Rattle, Unlikely Stories Mark V, Otoliths, and Hawai’i Review, among others. Balaz is an avid supporter of Hawaiian Islands Pidgin writing in the expanding context of World Literature. He presently lives in Cleveland, Ohio.